With most CMMS applications you can only assign a single asset to a work order. If you have a lot of assets that need maintenance, setting that all up that can be incredibly time-consuming. A lot of overworked teams don’t have the luxury of time to spare entering all that data into their CMMS. So, what can you do? 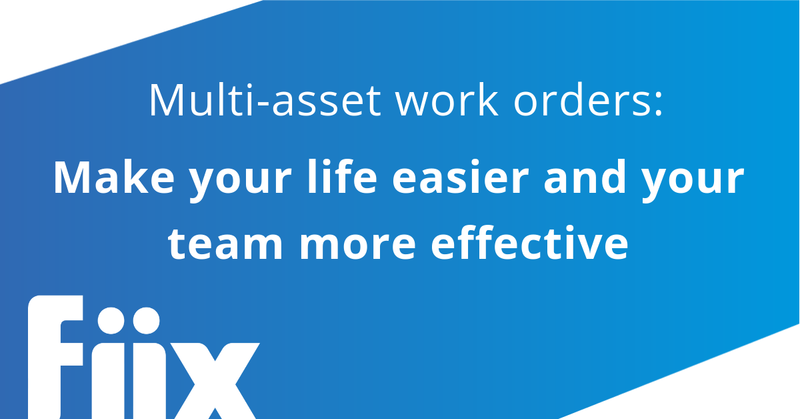 Fiix has developed the “Multi-asset work order” that lets you add multiple assets to a single scheduled maintenance or work order. Not only does this save time on data entry, it’s also great for technicians who need to repeat the same set of tasks on multiple assets, like during inspections, lubrications or meter readings. 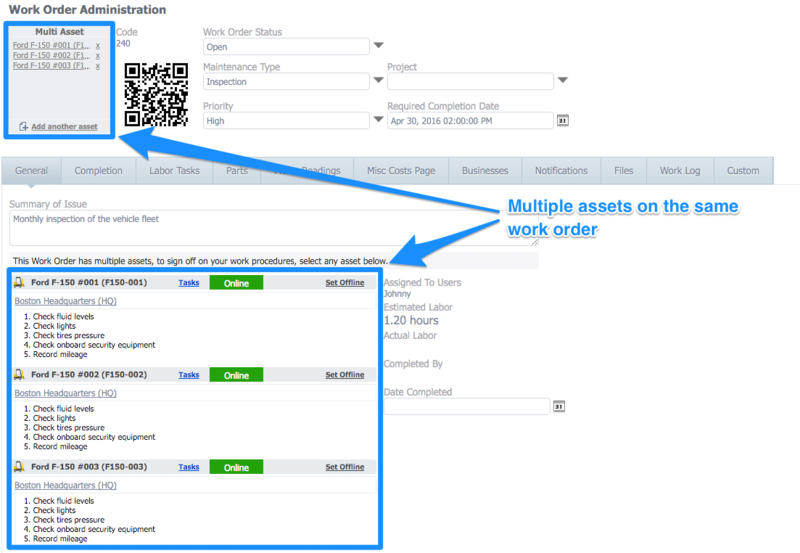 Why should you use multi-asset work orders? Multi-asset work orders make your team more effective when completing inspection rounds. How do they do this though? Reducing the number of work orders to be managed. Managers get a clearer view of what needs to be done. Nothing is missed. It’s easier to track what has been done on a single work order. More efficient inspection routes. You can build the task list to guide the technicians to the tasks in the right order. How do I get started with multi-asset work orders? Mutli-asset work orders help your entire team save time on the work that needs to get done, but you can do even more to make your life easier still. Our native mobile CMMS app also lets your technicians check off tasks as they complete their inspections rounds in real-time. No back and forth, no printing work orders, filling them out on paper and entering them later. It’s all done right there on your phone, saving you even more time on the spot. Always in sync and completely free for all users.